Kansai Electric Power (KEPCO) issued a press release on June 21 with the title [trans.] “Negawatt Trading for Large Customers Outside Kansai Electric Power’s Service Area.” The press release is available on the KEPCO website for further reading of the details　(in Japanese only). This announcement relates to the expansion of negawatt trading, which KEPCO calls the “Negawatt Plan” within its service area, to the part of the 60Hz power grid in Japan comprising the service areas of Chubu Electric Power, Hokuriku Electric Power, and Chugoku Electric Power. The initiative is a power conservation scheme based on economic rationality theory, in which electricity conserved during times of peak power demand is purchased as if it were generated electricity (negawatt power generation). The scheme works under DR (demand response), whose implementation has been proposed from the Osaka Prefectural and Municipal Energy Strategy Conference, where I serve as a committee member as special advisor to Osaka Prefecture and City. DR is an important method for DSM (demand-side management). As evident from the term Steady Supply Organization, the power grid in Japan up until now has operated solely under supply-side management. The demand side, or customers, availed themselves of an “all you can eat” system for electric power, like hot and cold water from a tap. This situation consequently developed a power demand curve, which represents demand for power across Japan over one day, with a large peak between 1PM and 3PM and otherwise relatively steep highs and lows over 24 hours. The steady supply organization, in effect, obligated the 10 power companies with a responsibility to supply electricity, regardless of what shape the power demand curve might take. In particular, the system has been obligated to maintain power-generation capacity for power supply against record peak demand during scorching hot summers. Although they have occasionally appealed for power savings, the ten power companies essentially responded quite successfully over the years. As a result, customers like us have enjoyed the supply of high-quality electricity with stable voltage and frequency and without any outages. Unfortunately now, those days have ended. Precipitated by the 3.11 Great East Japan Earthquake, the severe accident sustained at Fukushima Dai-Ichi Nuclear Power Plant impaired all nuclear power generation, which had supported the basic, constant portion (called the base load) below the lows of the power demand curve over a day under the steady supply organization. The debate here is not the feasibility of nuclear power generation. I simply note that the capability was impaired. In the debate over nuclear power plant safety since the Fukushima nuclear accident, nevertheless, I have also felt most disappointed over the absence of a nuclear-power advocating (pro-nuclear) group with integrity (“with integrity” applies to both “nuclear power” and “advocating” here). Through this severe accident, pro-nuclear groups and anti-nuclear groups have relearned the hard lesson of how messy the handling of nuclear power can be. Perhaps I shouldn’t say so, but the anti-nuclear groups can take a position of simply remarking, “I told you so.” In reply then, the pro-nuclear groups need to take strides in recovering and establishing the integrity of the nuclear power plant. In other words, instead of contesting the hysterical actions and pronouncements by some of the anti-nuclear groups like a nuclear-power advocating (pro-nuclear) group without integrity (“without integrity” applies to both “nuclear power” and “advocating” here) relegated to constantly hiding the effects that arise from the messy complexity in handling nuclear power, the pro-nuclear groups need to restart as nuclear-power advocating groups with integrity by openly disclosing and sharing the effects that arise from the messy complexity in handling nuclear power, by surmounting the messy handling of nuclear power as energy, and by putting this energy squarely under the control of humanity. Now let us return to the main subject. In any event, maintaining the steady supply organization as a power management system dependent on the supply side is no longer possible or realistic. Furthermore, in terms of national strategy for the export of electric power plants—which could meet the increase in demand for electricity in developing nations, a power management system reliant entirely on the supply side is not globally competitive. That’s where demand-side management (DSM) comes in. Among DSM initiatives, the most promising mechanism for conserving power is based on economic rationality called demand response (DR). Fresh in our memory regarding power conservation would be the enforced cutbacks of electricity experienced last year in the summer by large customers. The Power Use Restriction Order was issued with enforcement in the form of fines for any violations. In conjunction with the Power Use Restriction Order, small customers, including residential users, were requested to conserve electricity in the spirit of sacrifice or voluntarism without any enforcement. DR, however, is neither of these efforts, but a mechanism of purchasing power conserved during peak demand, as if that power were generated (referred to as “negawatt generation”). Thus, the customer has no need to reflect on the spirit of sacrifice or any enforcement, but is provided freely with an option. The customer can opt to use relatively expensive power during peak times (based on the time-banded electricity tariff to be introduced in the future), engage in normal business, and pocket the profits accordingly. Otherwise, the customer can cut back on normal business, conserve electric power, and pocket the cash from conserved amounts as negawatts. The negawatt trading that KEPCO is privately launching for the summer this year ordinarily should be instituted with the opening of a public negawatt market. The buyer being limited to one company (KEPCO, in this case) has resulted in the format adopted. Mr. Edano as Minister of Economy, Trade and Industry has personally stated that METI and Agency of Natural Resources and Energy are both supporting and taking notice of this lead-in to a future, public negawatt market. Since the world’s first derivative market in rice futures started in Dojima, Osaka during the Edo Period, I find it deeply significant that Japan’s first negawatt trading market will also begin in Osaka. Since the Negawatt Plan announcement, the Conference has demanded improvements to the evaluation method for amounts of power conserved and on the determination method of bidding price and final price etc., with an eye toward future succession by a public negawatt market, which would have a more universal application. These two methods gained no improvements this time, which left room for dissatisfaction. I would nonetheless like to offer high praise for the decision to expand outside the KEPCO service area as an improvement item that was requested and accommodated. This action is a step-change forward, when compared to the behavior patterns of the ten power companies who have found a haven in their regional monopolies so far. Competition provides an impetus for progress. The electric power market, if matters proceed smoothly, will transform into a fair, competitive market within two years through the dismantling of the regional monopolies due to the separation between transmission and generation of power. If KEPCO were already looking ahead at this development, I would characterize the company as a scrupulous Osaka merchant. The evaluation method for the amounts of power conserved relates to identifying the originally planned amount of power consumption (baseline), and comparing to the actual amount of power consumption. The KEPCO person in charge explained that the simplest approach is desirable at the initial introduction; therefore, a comparison will be made against a baseline for the amount of power consumed on the same day of the prior week. 1. Five dates of high demand out of 10 applicable past dates are selected for a customer. Any dates subject to a demand-cutting directive are excluded. 2. Adjustments are made on the morning of the day, according to temperature and business activity (only for cases of the baseline rising, simply by adding the additional kW). 3. Baseline is established discretely for each customer, not for a portfolio of multiple customers. 4. Calculations employ simple averaging. If this process were a little too complicated, I would at least liked to have seen a process introduced, for example, which would select the top three days of consumption from the prior week, and use a simple average as a baseline for comparison. But perhaps it is acceptable as it stands. More importantly, we should remember that two markets have merged in Europe and the U.S., and DR is already implemented as described above. Thus, experience is accumulating with respect to evaluation methods for amounts of power conserved. Since lawsuits have actually occurred over the calculation methods of the baseline, DR has apparently obtained proven status as a rigorous economic activity. There is no spirit of sacrifice or enforcement here. Moreover, the Ministry of Economy, Trade and Industry and Agency of Natural Resources and Energy are both supporting and taking notice of this Negawatt Plan within the KEPCO service area and the negawatt trading for large customers as the lead-in to a future, public negawatt market. As government agencies with oversight, their interest is quite natural. By adopting DSM, the reform for Japan’s electric power system needs to proceed in tandem with the inauguration of a negawatt market according to DR , and with the institution of fair competition market dynamics (megawatt or posiwatt market) that extend the existing electric power wholesale market. The separation between generation and transmission of power will prompt the formation of an integrated market where the transmission grid operated by neutral and fair transmission operators comprises the physical plant. Based on economic rationality, the balance between supply and demand will render a demand curve for electric power that flattens closer and closer to a horizontal line, and transform Japan’s electric power grid into a globally competitive system. In this way, Japan should become a role model for the world, and will become one, in my firm opinion. 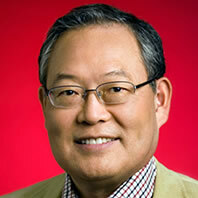 Norio Murakami, former vice president of Google (U.S.) and president of Google Japan until the end of 2008; currently principal researcher and professor at GLOCOM International University; special visiting professor at Keio University Graduate School; advisor at Aizu University; continually engaged in smart grid advocacy since his term as Honorary Chairman of Google Japan (2009-10). Author of numerous titles, including Murakami-Style Simple Work Techniques [title trans.] (Diamond); Smart Japan Declaration: Energy Policy for Economic Recovery [title trans.] (Ascii Shinsho, joint author).